Tutto Italia antipasto – oh my! 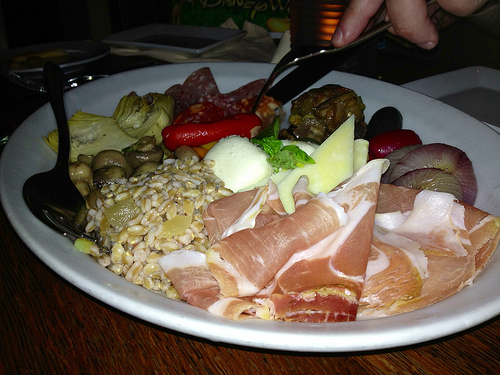 Tutto Italia antipasto – oh my!, originally uploaded by Erin *~*~*. We split this among three of us, and it was plenty! The wine was San Guiseppe Pinot Noir, a favorite of ours.